If you have healthy gums, but notice an uneven or blotchy color, you could be a candidate for gum lightening, which provides an even pink hue to the gums. Call us today to ask about gum lightening. Your smile is important to you, and you want it to look beautiful and healthy. Gum discoloration is easy for our Memphis periodontists to adjust using a safe, effective laser treatment. Gum lightening is a laser procedure that removes excess melanin and provides a more even, lighter gum appearance. Gum lightening can make dark gums lighter, even out spottiness, or remove dark spots. Laser gum lightening can help you increase your self-confidence in your smile by reducing the contrast between white teeth and a dark gumline. While dark gums are not necessarily an unhealthy condition, many patients prefer a lighter, ore even gum color and benefit from the aesthetic change. Who is a Candidate for Gum Lightening? 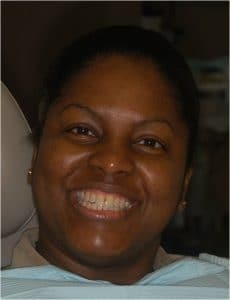 Anyone who has healthy gums but is unhappy with their color can be a candidate for gum lightening. 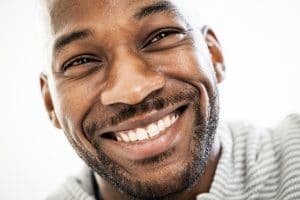 This procedure is designed to simply reduce melanin concentration in the gums and provide a more pleasing appearance, cosmetically adjusting the color of the gums to a healthy pink hue. Our Memphis Periodontal office has a Light Walker Laser, with which the pigmentation of the gums can be easily lightened. This safe, effective, and minimally invasive laser treatment can remove excess melanin deposited in the gum tissue for pinker, lighter gums. Dr. Craddock and Dr. Godat recommend this safe, effective, and minimally invasive laser procedure for those seeking a cosmetic change to the color of their gums. The healing time is extremely rapid, and most patients report little or no discomfort after the procedure. Contact us today for a consultation if you think gum lightening could be right for you.